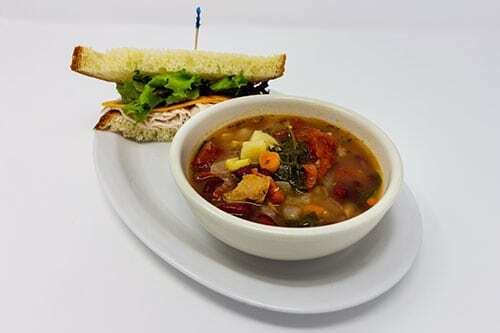 Half of any of our overstuffed sandwiches & soup or a side salad with choice of dressing. Questions? - Click Here to Call Us!